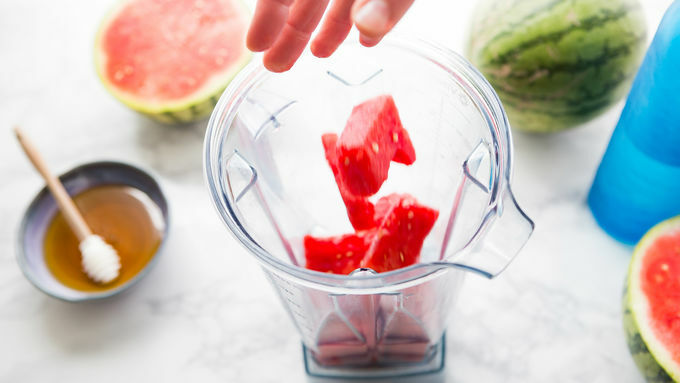 In a blender or food processor, puree watermelon, honey and vodka together, working in small batches if needed. 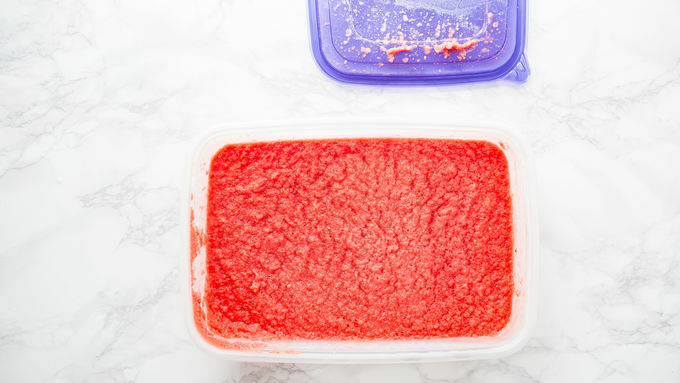 Pour watermelon mixture into a large, freezer-safe container and freeze overnight. To serve, grate watermelon mixture with a fork and add to a punch bowl. Pour lemonade over frozen mixture in punch bowl and stir to mix. Serve immediately. Garnish individual glasses with watermelon slices, if desired. For max lemonade flavor, look for all-natural, organic lemonade, or add the zest of 2 lemons to the watermelon mixture before freezing. For sparkling watermelon vodka slush: mix with 62 oz sparkling lemonade or sparkling French lemonade. 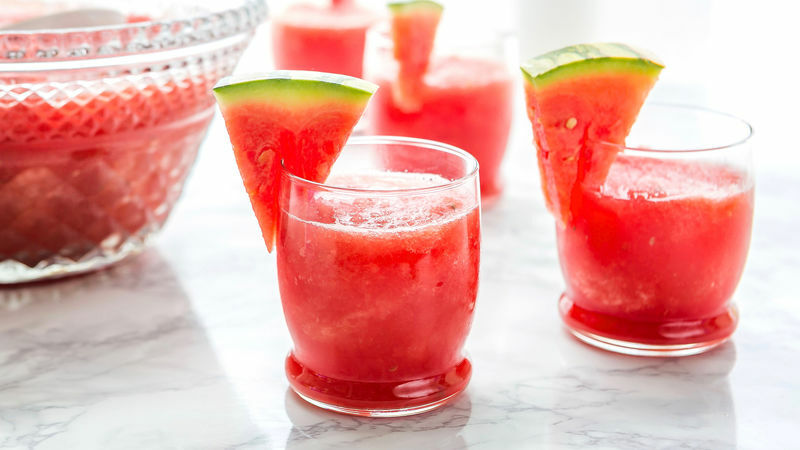 Keep the whole crew cool this summer with our Watermelon Vodka Slush. 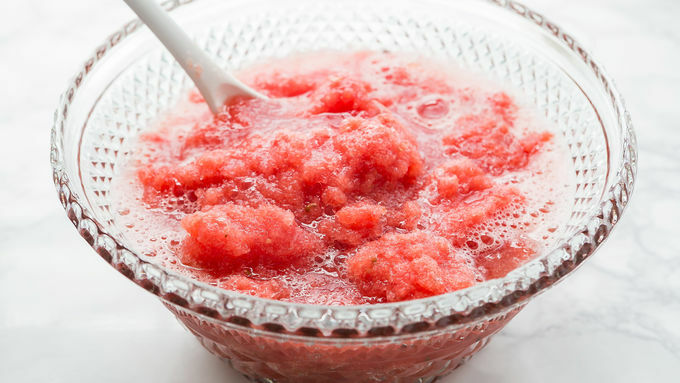 It’s a party-sized punch that’s easy to make ahead, and starts with blending watermelon, vodka and honey together, then freezing. But with all that booze and honey in there, it won’t freeze firmly. 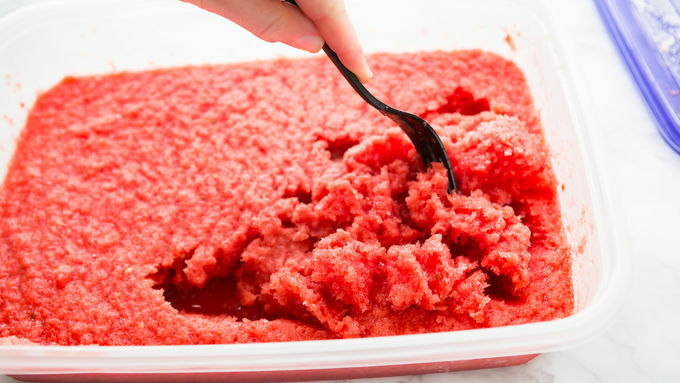 Instead, it creates a deliciously frosty, granita-style watermelon shaved ice. Grate with a fork, pop into a punch bowl and top with lemonade—or sparkling lemonade, if you so desire. The end result is a massive batch of refreshing slush punch. Like a frosty smoothie chatted with your favorite cocktail and decided to make things official. A divine combination. Perfect for hot summer days, even better for pool parties. Cheers to summer! Cheers to slush punch!